The ratings below are the reviewers grades/opinions on the show. Feel free to grade the show yourself below. 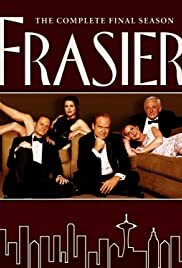 Frasier was and is one of the all-time greatest t.v. shows. It's blend of wit and humor, exceptional writing and acting allowed it to stand out in a crowded 90's/2000's era of endless sitcoms. It is a show you can revisit over again multiple times and find new things to laugh at.